Kendra ’20 (center) served as a student assistant at TMA’s gala and is one of 20 high school students from TMA who attends StreetSquash. 20 years ago, StreetSquash Founder and Executive Director George Polsky brought an uncommon sport to Harlem. With the partnership and support of Thurgood Marshall Academy (TMA), whose staff once allowed George to recruit middle schoolers by bouncing a squash ball in the school cafeteria, StreetSquash grew to serve hundreds of students in Harlem. Throughout two decades of growth together, StreetSquash and TMA have shared pride in their involved students and accomplished alumni. On Wednesday, January 30th, TMA celebrated 25 years in the community with spirited student performances and a reception at the Marian Anderson Theatre at the City College of New York. Over 200 community members, students, alumni, and StreetSquash representatives showed their support at the event. 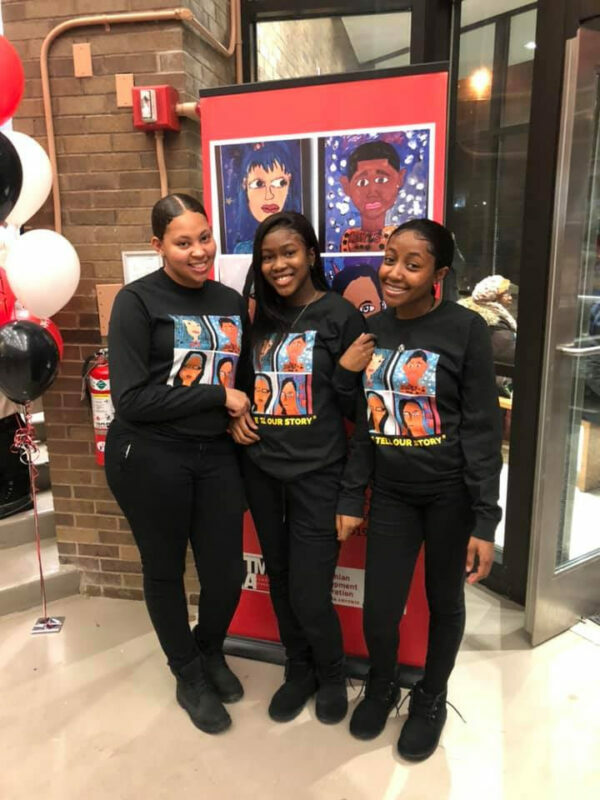 “From the theme of the event, to seeing successful black alumni, to hearing our teachers speak about how they want great things for us, it was all empowering,” Kendra ’20 beamed. The event theme, “We Tell Our Story,” is reflective of the African proverb, “it takes a village to raise a child.” This sentiment warmly recalls the collaborative relationship StreetSquash shares with TMA. TMA was one of the first 12 New Visions Schools to be part of the “small school movement” in NYC and the only one of the first 12 still in existence, serving over 550 students annually in middle and high school. By serving grades 6 – 12, TMA positively impacts the transition to high school, and increases on-time graduation rates. 103 StreetSquashers have graduated from TMA, and 33 program participants are currently attending TMA in middle and high school.